Here is the definition I propose: " The social marketing refers to the tools and practices to identify and analyze conversations and participate and initiate social interactions within communities." The identification and analysis of conversations, which does not limit only to implement tools for listening and monitoring, but also the interpretation of the latter (instantly or in its evolution). Participation and initiation of social interactions, it is not so much about responding to criticism that also be the source of structured discussions (or should I say "framed"). Could you tell me a marketing strategy is agnostic to the communication channels and there is no "TV marketing" or "marketing radio," but I would say that 'social media rules are disrupted and we can not apply the same recipe. 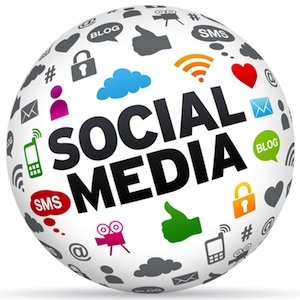 Social media is a formidable opportunities for marketers to do field work with customers / prospects (see Social Media marketing and field ) and find the closeness they had lost with the mass media. Note that the social media marketing is not an exact science, and it is the craftsmanship that must be adjusted in each case depending on the context (like measurement tools are still far from being Standardized three different approaches to social media analytic). Good post - short, but to the point. The main point is that it's an INTERACTIVE way for people to communicate and should not be one sided with marketing and spam all over the place.